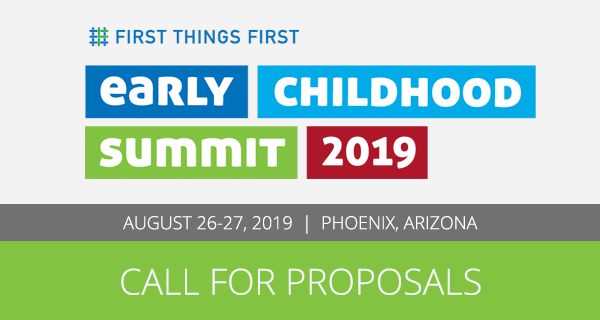 First Things First is seeking proposals for breakout sessions to be presented at the 2019 Early Childhood Summit. Presenting at the Summit is a unique opportunity to share your knowledge, experience and ideas with a large and highly-engaged audience. To learn more about topic areas, criteria for selection, and how to submit a proposal, please visit summit.firstthingsfirst.org/proposals. Thank you, and we look forward to seeing you in August.